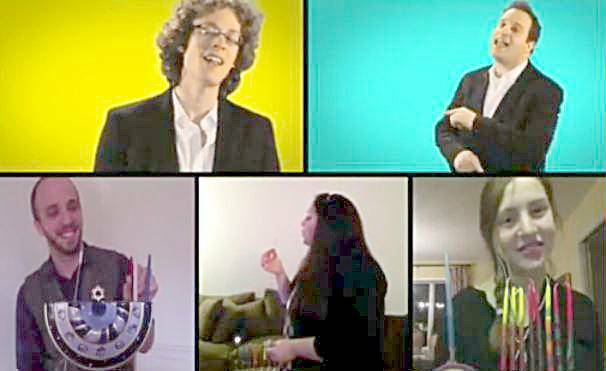 The boy band Six13 has been composing, performing and recording original Jewish a cappella music for about nine years, including Chanukah music videos in 2010 and 2011. This year they invited their friends and fans, including some girls, from all over the world to join them in song to help celebrate the Festival of Lights and wish everyone a Happy Chanukah. This year's entry is Haneirot Halalu. Last year they sang Chanukah Rights and the year before I Light It, a pop three-song parody. This song and all Six13 songs are completely a cappella -- created with nothing but the human voice. The Chanukah videos keep coming in and we plan to share as many as we can with you in the next two weeks. You can see all of the Chanukah videos that we've posted since Jewish Humor Central started in 2009 in our new e-book, Jewish Humor on Your Desktop: Jewish Holiday Hilarity, just published and available for download to your PC, Mac, iPad, iPhone, Kindle, Android phone and tablet. This volume has funny anecdotes, comedy, parody, and music videos for all the Jewish holidays, including 25 for Hanukkah. 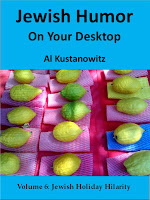 You can get it at Amazon.com for $2.99 -- for yourself or to give as a Chanukah gift. Really beautiful voices. Loved the music also. More Chanukah music please. A Joke to Start the Week: "The Stutter"